July starts on a promising note, for League of Legends fans, as the Rift Rivals 2018 event starts on the first week. Those who enjoy the popular multiplayer online battle arena game from Riot already have a lot of fun with the VS campaign. Whether they chose God King Garen or Darius, players unlock generous rewards and tokens while completing exciting missions. This event and the upcoming tournaments will overlap for a short period of time, so the first week of July promises to be a busy one. This tournament consists of five events scattered across a total of 14 regions, so players from all over the world will participate. The invited and seeded teams are based on the ranks achieved in the latest Spring Split results in each region. Local fans will be cheering for up to four teams representing their region, with a minimum of two squads from each area. The tournament begins with the group stage and the most successful teams will advance to the knockout phase. The organizers found it worthwhile to have the tournament run on different rules for each region. European and North American players are in for a treat, as the final between these two regions will pit the best place EU and NA teams against each other. By comparison, Last Man Standing rules will apply to other groups, where teams from one region will prevail by defeating their peers from opposing regions. In the group stage, all the games will be played in a best of one format, using a single round-robin. By comparison, the finals will provide players with more chances to prove their skill in a best-of-five series. What makes League of Legends Rift Rivals 2018 so exciting is that its formats will include Relay, Blind Relay and even King of the Hill games. These can be a little distracting for those who choose to watch the games on stream, but will also provide the much-needed diversity that many prominent tournaments lack. 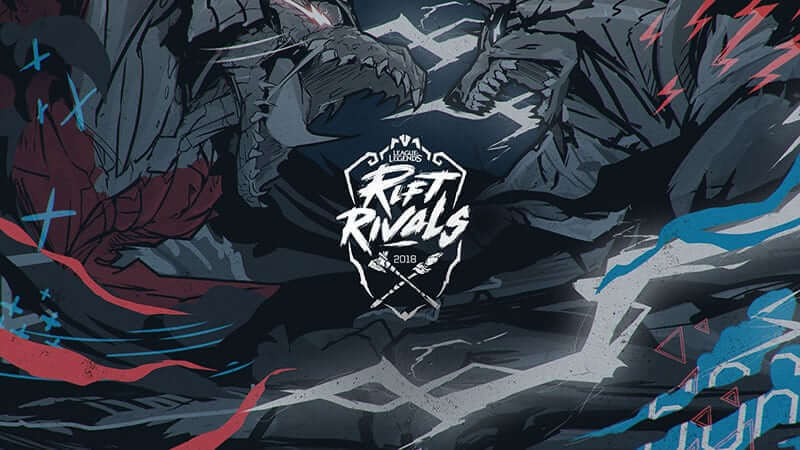 Australian and New Zealand fans can consider themselves lucky because the League of Legends Rift Rivals 2018 debuts with their games. Starting on July 2 and concluding three days later, the tournament will bring together the top teams at the State Theatre, Sydney. From July 4-7, South American teams will showcase their skill at the CBLOL Studio in São Paulo Brazil. Their Asian counterparts will converge to the GG Stadium in Ho Chi Minh City, Vietnam for three days of competition. On July 5 at the NA LCS Studio in Los Angeles California the games involving teams from North American and Europe will commence. Starting at 12 PM PDT and running over the course of two days, these games will bring into the spotlight some of the best teams from these regions. Chinese teams will compete for glory for three days, also starting on July 5 at 12 AM PDT and the games will be hosted by the Dalian Sports Center Stadium in China.